When I was about 7 months pregnant with Osh, a lad who was a year younger than me at school was killed in a car crash. I remember watching his mother at the funeral and thinking "you were 7 months pregnant with him at one point, you would have been just as excited as me about your unborn baby's arrival - yet 18 years later you're burying him". That thought broke my heart. But it's taken on a whole new level since we joined the CHD community. Martha went in to theatre for her 3rd Open Heart Surgery on Thursday 12th December 2013. We were on week 4 of life in CICU and we'd lost a 16 day old Baby on the Monday and a 2 year old little boy on the Wednesday. These things always happen in three's don't they. But Martha's life was spared, the third life would be little Ava only a few days later - she was 7 days old (the 4th would follow a couple of nights later) What scared me about that is that even though we were in the best hospital in the country - yet babies were still dying. If it could happen to any of the other couples sat in the parent's room then it could just as easily happen to us. 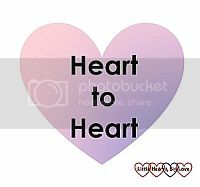 When I read a Facebook post a couple of days ago that an 8 month old baby girl in the USA had sadly passed away following surgery for CHD - I cried buckets, proper sobs - even though I didn't know this little girl or her family my heart was broken for them. Of course no one knows what it's like to lose a child unless it's happened to them, but if you've come as close as we have and have had to prepare yourself for the worst on several occasions - you kind of do! The reason it get's to me is because I know that somewhere out there, a mother just like me is living my worst nightmare. A family just like is - has someone missing.